Debt Funds primarily invest the corpus in debt instruments like Government Securities, Treasury Bills, Corporate Bonds and other money market instruments. The investment in debt instruments allows the investor to earn an interest income which is a predictable, periodic income. The maturity period of debt funds is predetermined. Debt funds invest in securities based on their credit ratings, as the credit rating of an entity demonstrates whether it will make regular payments of interest. The maturity period of a debt fund is determined by the prevailing interest rates in the economy, if interest rates are low a fund manager will invest in long-term debt to see reasonable returns, and if interest rates are high a fund manager will invest in short-term debt to provide the investor with returns as soon as possible. Gilt Funds primarily invest in government securities as they are high-rated securities. As the primary underlying asset is government securities, these funds are considered safe investments. 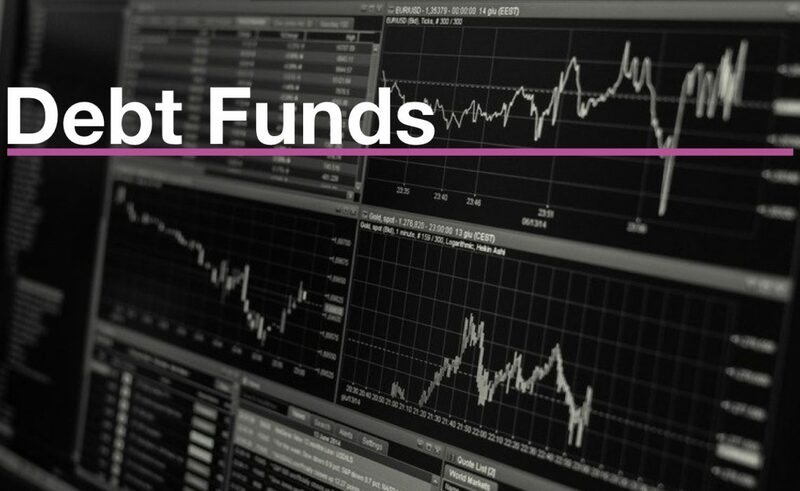 Gilt Funds are suitable for investors who are risk-averse and want a fixed income on their investments, but, as the underlying assets are government securities these funds are highly sensitive to interest rate fluctuations. Dynamic Bond Funds are funds with a dynamic portfolio. The portfolio composition in these funds are updated according to the latest prevailing interest rates in the economy. Due to the portfolio being dynamic, Dynamic Bond Funds do not have a fixed maturity period as fund managers adjust the portfolio based on interest rates rather than maturity period. These funds are suited to investors with a long investment horizon as the maturity period on them is not fixed. Dynamic Bond Funds are suited to investors who have a medium investment horizon of 3 years or more and have a moderate risk appetite as these funds do not provide a guaranteed rate of return. Income Funds are similar to Dynamic Funds in a sense that the portfolio composition in these funds is dynamic, but the underlying investment is in long-term debt. Income funds are considered more stable than dynamic funds as the maturity period on the underlying debt is usually 5 years and above. Income Funds are suited to investors with long investment horizons of 5 years or more and have are risk-averse investors, as these funds are invested in long term debt that carry low risk. Short-Term and Ultra-short term debt funds invest in short term debt instruments with a maturity period between 1 to 5 years. These funds are suitable for investors who want consistent income interest as they are not affected by interest rate fluctuations. Short-term and Ultra-short-term debt funds are suited to investors looking to make returns over a short period of time, these funds are ideal to invest in as a new investor or when there is going to be an interest rate change, as short-term debt is not as heavily affected as long-term debt. Fixed Maturity Plans (FMP) come with a fixed lock-in period and invest the corpus in fixed income securities like corporate bonds and government securities. Fixed Maturity Plans come with a pre-determined investment horizon which can either short-term or long-term and can only be invested in during the initial offer period. An FMP works like a Fixed Deposit but offers better returns which are tax efficient, but the rate of returns is not fixed. Fixed Maturity Plans are suitable for risk-averse investors who are looking for marginally higher returns than bank fixed deposits or savings bank accounts. FMPs are debt oriented funds that aim to provide the investor steady interest income over a long investment horizon, protecting the investor from market fluctuations. Credit Opportunities Funds (COFs) are relatively riskier debt funds as they pick lower-rated debt instruments with higher interest rates to invest in. These funds can provide the investor superior returns, but carry the risk of investment in low-rated debt instruments which can default in payment. Credit Opportunities Funds are suitable to investors who would like to see high returns from their debt instruments and are ready to take on riskier debt instruments as these funds invest the corpus across A, AA, and AAA-rated debt instruments to earn high returns.